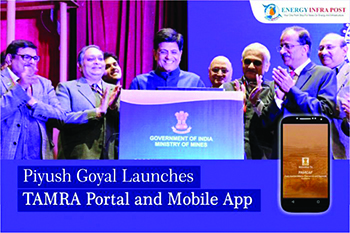 Union Minister of State (Independent charge) for Power, Coal, New & Renewable Energy and Mines, Shri Piyush Goyal has launched TAMRA Portal (Transparency, Auction Monitoring and Resource Augmentation) and its Mobile Application, developed by the Ministry of Mines on February 15. 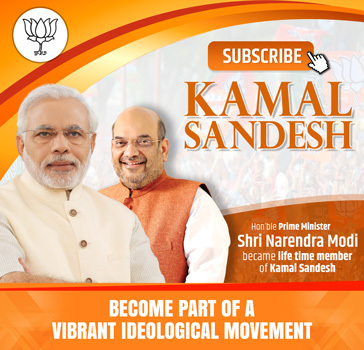 It was simultaneously launched across 12 mineral rich States. Shri Goyal also made an important announcement that the Government is planning on bringing amendments to mining rules to bring transparency in award of exploration and mining licences for the 100 identified off-shore mineral blocks soon. Informing the gathering about the salient features of TAMRA, Shri Goyal said that with an objective to enhance transparency and accountability, as a part of the Ease of Doing Business in the Mining sector, TAMRA is a step to speed up mining activity in India and facilitate all the stakeholders to track the status of the statutory clearances associated with mining blocks for getting mines to reach till operationalisation for the same.It will be an interactive platform for all the stakeholders to compress the timelines for statutory andother clearancesas it would help minimize the gestation period for commencing production. Stressing on TAMRA’s features that would enhance transparency and accountability in Mining, Shri Goyal stated that in case ofdelay in obtaining any clearances, TAMRA will send triggersto the concerned authority so that the remedial steps can be taken immediately by those responsible.The Ministry of Mines will also receive triggers generated by TAMRA,which willfacilitate in expeditingclearancesin case the timelines set against each of the statutory clearances are not met. Further, the status of each of the clearances will be reflected on the portal. This portal also enables the successful bidder to give suggestions and other inputs for improving the current process of issuing Statutory clearances in the Mining Sector which would help to establish a participative and informative network among all stakeholders, the Minister added. TAMRA Portal covers block-wise, state-wise and mineral-wise information of the mines to be auctioned, monitors various statutory clearances, and also highlights the additional resources generated through e-auction.